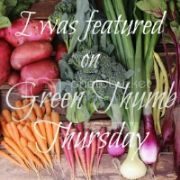 The Green Phone Booth is delighted to welcome fellow Green Mom Carnival member, Karen from Best of Mother Earth, for a timely guest post on health and schools. Ever think about them in relationship to back to school? Everything mentioned above are items that are touched by EVERYONE over and over and over. Would you agree that the germ factor in the school environment is HUGE? As a wellness consultant I adore back to school for a variety of reasons. In my business I begin to hear from everyone again. My mommy clients in particular totally come out of the woodwork - the phone rings with a different type of determination ---I NEED some vitamins!! My family is already starting to get sick. Even as we get into the second week school related illness have begun. "... the minute my kids get exposed,...." they say. Perhaps it's the use of toxic chemicals in the classroom or around the school's property, some states thanks to the Green Schools Act are making strides to remedy that. Perhaps it's because very little cleaning actually occurs in the classroom. We additionally have horrific school lunch programs, high sugar consumption and stress, not to mention a shift to cooler weather. Oh and the germs. Lots and lots of germs. Basic hand washing will get many of us very far. Give them this handy dandy canister of non-toxic germ wipes. They can use them to actually clean the door knobs and computer key boards or everything! Best yet maybe the teacher would let you come in and do a daily " wipe ". That way you know it's getting done! It never hurts to take your vitamins too. I would agree that very little cleaning gets done. Our cleaning crew sweeps and empties trash. Everything else that gets cleaned is done by me, and I know some teachers won't clean anything. I'm fortunate that our science rooms have tons of sinks so we can all wash our hands, but I admit I'm a horrible hand-washer. I don't get sick often, and in fact I think the fact I grew up on a farm with lots of animals and am not a hyper cleaner has built my immunity. However, now that I'm pregnant, I will make more of an effort to wash my hands. Like Abbie's, our school in hardly ever cleaned. Last year, the parents banded together to clean out the classrooms and fill in where the janitors missed out. delighted to be here today - thanks ever so much for having me...i once piloted a green clean project in a school, we tracked the usage per classroom and the school nurse noticed that those who cleaned had reduction in absences. Kindof a no brainer. (Gulp) I face those germs five days a week - in my workplace. I'm a public school teacher. I encourage handwashing, I refuse to share pencils or pens or other implements (I keep mine separate), and I really work to stay well. Sometimes, however, it can't be helped. i like products that can go on rather than wipes. Wipes produce a pile of garbage. Paper towels can be made of 100% post consumer paper and they can be composted. Shaklee must make some kind of spray on stuff as well. And for handwashing, not turning off the taps with your hands afterwards is an essential step that gets skipped far too often. They do make a spray germicide and it's superb. That's what I prefer to use myself. Like you the wipes seem to produce garbage. Some folks prefer the wipes. Nice to have the optio.